Height: 22” Blossom: 4” Dor. Tet. Beautiful is all I need to say about Allen. 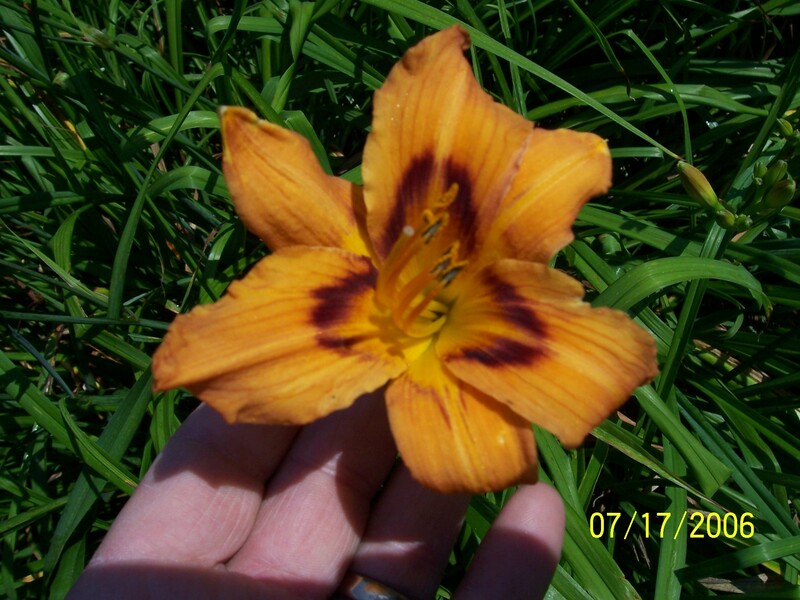 He is a pink orange late rebloomer with a tiny green throat that shows a burst of yellow into its body of pink orange with a nice yellow edge matching the center. His loving wife chose Allen’s name. On a trip to Maine from New Jersey to visit his favorite hunting grounds and now his resting place, Mrs. Reynolds saw this beauty and wanted it three years before it was registered. After sending this cultivar to his new owner, we received a most wonderful note from Mrs. Reynolds saying Allen Paul had his first blossom for her on his birthday; leaving me to believe this plant was born just for her!